Louis Roederer Champagne is a unique Champagne house insofar as it is one of the few that are still family operated. 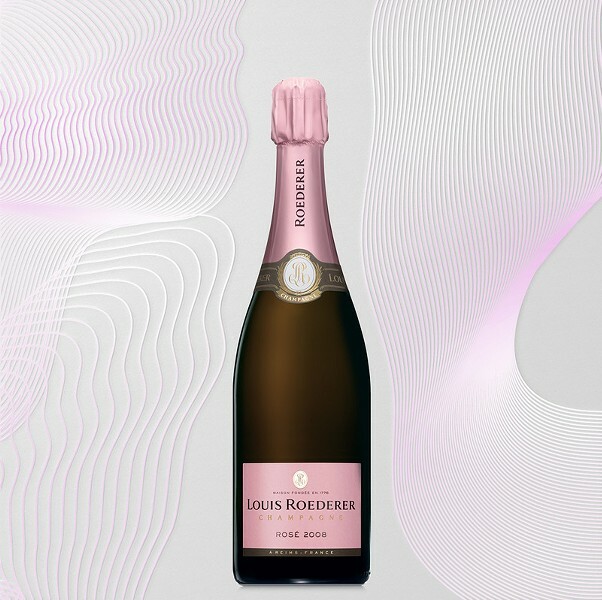 Dating back to 1833 with the original Louis Roederer at the helm, Roederer is now managed by Frédéric Rouzaud, who represents the seventh generation of the Roederer family lineage. Roederer is also unique in that it owns 240 hectares of vineyards, which satisfies about 70 percent of its grape needs. By contrast, most Champagne houses own little land of their own and purchase grapes from various growers. In addition, more than 30 percent of Roederer’s vineyards are now managed biodynamically, a rarity in Champagne to say the least. With the exception of its Brut Premier NV, all Roederer Champagnes are single vintages. This, too, is somewhat rare. When wine writers and Champagne enthusiasts talk about a Champagne house’s “style,” they are speaking about non-vintage Champagnes. This is because whether you’re drinking Möet & Chandon Imperial Brut, Louis Roederer Brut Premier, Veuve Clicquot Brut or any other non-vintage Champagne, it is these non-vintage wines that define the house style. Since non-vintage Champagne is produced on a yearly basis (as opposed to vintage years, which are sporadic), it’s important that the style – flavor, texture, aromas, color, etc. – be consistent from one year to the next. Vintage Champagnes can vary tremendously from one vintage to the next, but non-vintage Champagnes must represent a distinguishable house style, year in and year out. Roederer Brut Premier ($59) is beautifully balanced and seductive, a rich and complex non-vintage wine that serves well as an aperitif and would also pair with light fish or poultry dishes. Roederer Blanc De Blancs 2008 ($90) is made solely from Chardonnay from grand cru vineyards. It’s slightly sweet, but with distinct chalky minerality of the Côte des Blancs region. Hazelnuts, almonds and white peach notes lend to this wonderful wine’s finesse. I’ve probably drunk more Roederer Vintage Rosé Champagne ($80) than any other. I simply love it. Vinified on oak, the wine is a wild ride of red berries, floral aromas, cocoa, brioche and underlying minerality from the (35%) Chardonnay grapes used. And, what can I say about Roederer’s gastronomic prestige cuvee, Cristal 2006 ($230), except that I doubt I’ll get to enjoy it again until my next visit to the Champagne house of Louis Roederer!